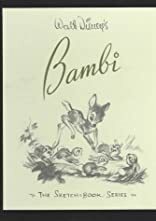 The classic story of the gentle fawn and the seasonal joys and sorrows of life in the forest has warmed and inspired the hearts of all ages since the film was first released in 1942. Featuring the work of Disney animation greats, and in celebration of the 55th anniversary of this beloved film, this sketchbook is a fine tribute to one of the greatest animated films of all times. About Roy E. Disney (Contributor) : Roy E. Disney is credited in young adult books. Published credits of Roy E. Disney include What the Sea Teaches Us: The Crew of the Morning Light and Walt Disney's Bambi: The Sketchbook Series.